Rafael Sottolichio, an emerging artist born in Santiago, Chile, has lived in Montreal since 1975. Holder of a Bachelor of Visual Arts degree from UQAM, he is currently completing a Master’s degree in Visual and Media Arts. He has many solo and collective exhibits to his name. 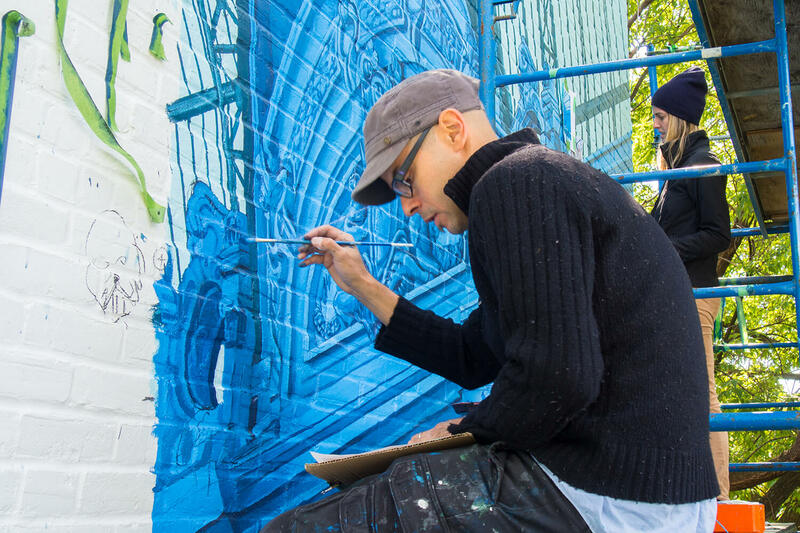 Rafael has also painted several murals, including La maison que nous avons bâtie (The House That We Have Built) in 2007 for the Integration of a Public Work of Art Competition and the Pere-Marquette Centre in the borough of Rosemont La Petite-Patrie. He is represented by the Galerie Lacerte Art contemporain (Lacerte Contemporary Art Gallery).